This is an authentic South Indian dish normally made as breakfast or dinner. It is a highly special dish in a special feast served to the newly married couples in all of our homes. It acquires lot of work and serves yummy dish to us.. 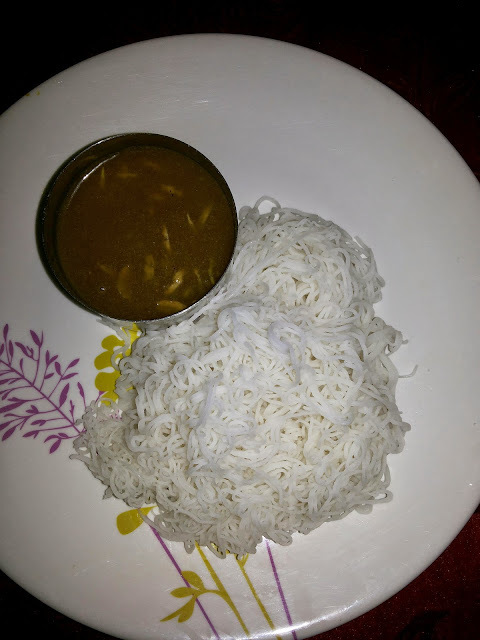 It is having carbohydrates, iron in jaggery we use for sidedish and coconut used in this recipe is helping to reduce obesity, prevent the heart diseases and having dietary fibers. These greens are called as manathakkali keerai in Tamil nadu and have many English names i.e., blacknight shade, sunberry, and wonder cherry. The botanical name is Solanum nigrum. We do love the porials and kootu and many cuisines with these leaves and green raw fruits and inky black berries. They reduce the urinary infections. They have the best medicinal quality..to cure mouth ulcer and all ulcers of digestive system wonderfully. 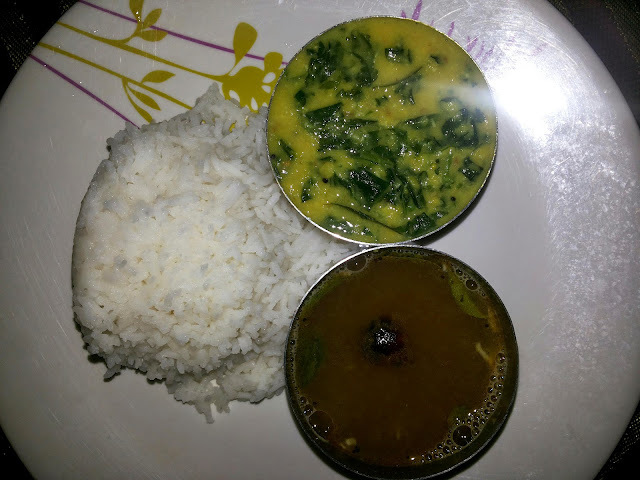 Toor dal one cup cooked with a pinch of turmeric. Add onions, gren chillies, curry leaves.